After a very balmy summer here in Ireland, with temperatures regularly camped in the 20s (Celsius) for most of June and July, the fairy-tale summer took a sinister twist in August. Jumpers were pulled on, umbrellas were deployed and Irish residents and tourists became a little bit more indoorsy for a few weeks. We caught up with our favourite TV shows, we did laundry excessively, we cleaned our cottages, houses and apartments and whistled while we worked. With our eternal optimism, we took it all in our stride. We claimed we were happy about the rain; for our plants, for our lush green fields, for the sake of our reputation as a green haven. In terms of an Irish summer, we all agreed we’d had a good innings and resigned ourselves to the steady deterioration in weather, sunlight and t-shirt modelling that usually accompanies the (dare I mention the words) run-in to Christmas. Then there were whispers. Conversations around the water-cooler about the most fantastic and welcome appendix to any season. Two words: Indian Summer. T-shirts back on. Flip-flops unpacked from storage. Trousers cast off (in favour of shorts). Bliss. September has delivered the elusive Indian Summer in Ireland. As our beautiful trees become golden and the harvest super-moon graces our night-sky, we re-took to eating al-fresco, catching some rays at lunchtime and loitering in the fresh air. My schedule is telling me to tell you about some great things to do in Ireland in the Fall. But I’m going to make hay while the sun shines, and tell you what’s great to do now, in this glorious, calming, unseasonably pleasant and warm weather. The end of the summer is the time of the year when the sea-water is warmest, so why not head down to the beach and take a dip? 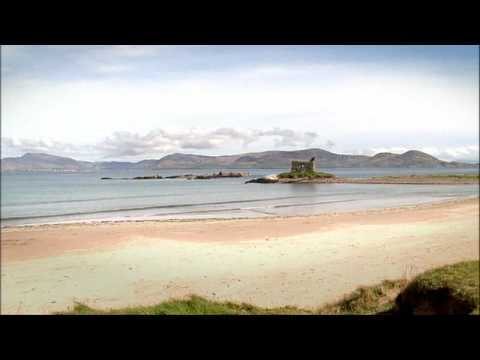 Ireland is extremely well provided for in the beach department, with stunning beaches to be found all around our coast. My personal favourite beaches can be found on the Inishowen Peninsula in Donegal. They truly are stunning, safe to swim in and breathtaking to behold. Ireland is also a great place to surf, for all ages and levels of surfing experience. Ireland is equipped with some beautiful national parks and gardens. I would highly recommend a trip to Killarney National Park in Kerry. Should you find yourself in Dublin, here are some of my favourite City escapes: Don’t forget to pack a picnic! Ireland has a wonderful sporting tradition and heritage, which I’m sure you’ve heard a bit about already. But it’s not just a spectator sport in this country. The weather is absolutely ideal, so you’ve no excuses not to get involved. Gaelic Games, Soccer, Golf, Rugby, Tennis, Running, Cycling; you name it, we’re involved. No matter where you are in the country, you will find sport on your doorstep. We’d love you to come and join the fun. Ireland is, of course, a wonderful place to be year-round. Watch out for my piece in the coming weeks on great things to see and do in Ireland in the Fall. The season of colour is just around the corner. If you’d like help organising a trip to this captivating land of castles, lakes, rivers, mountains and meadows, contact us today!